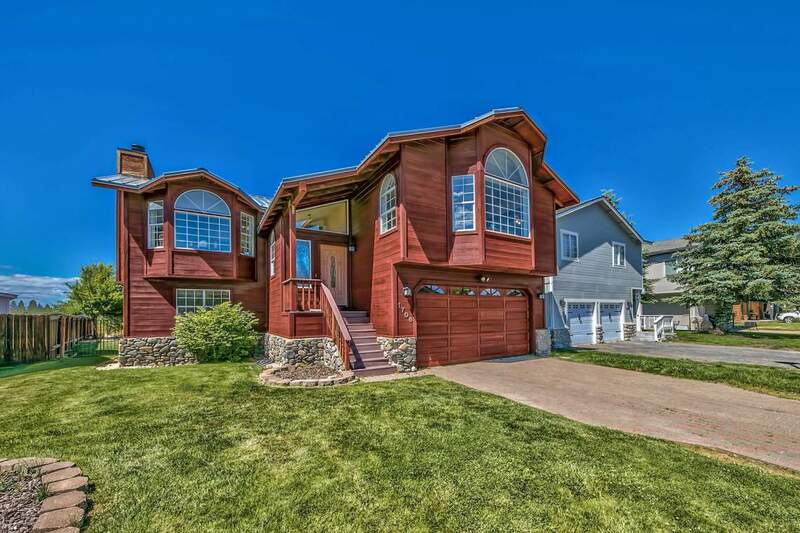 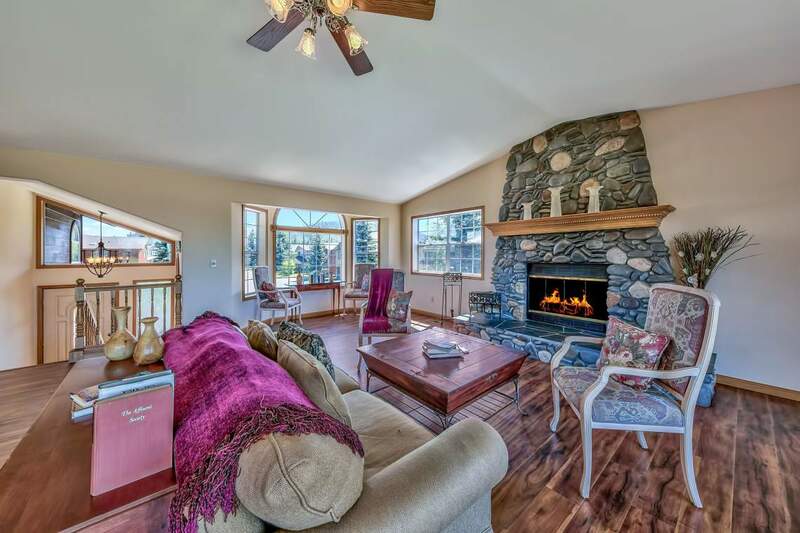 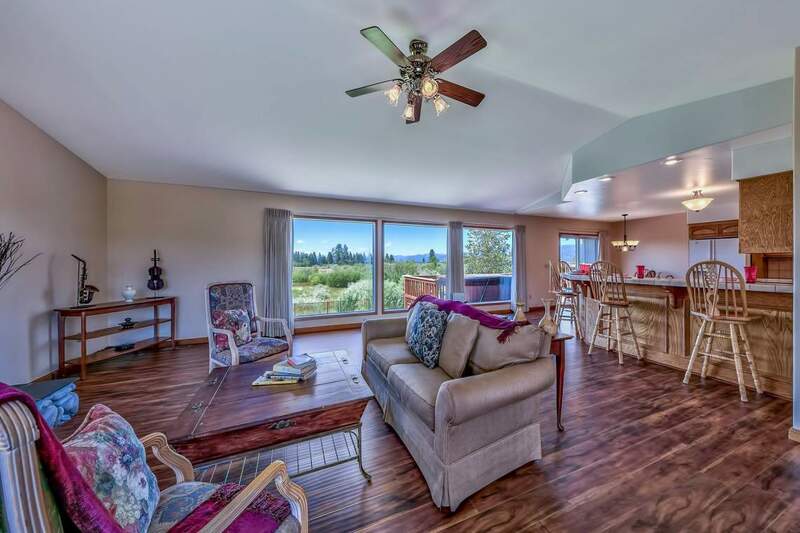 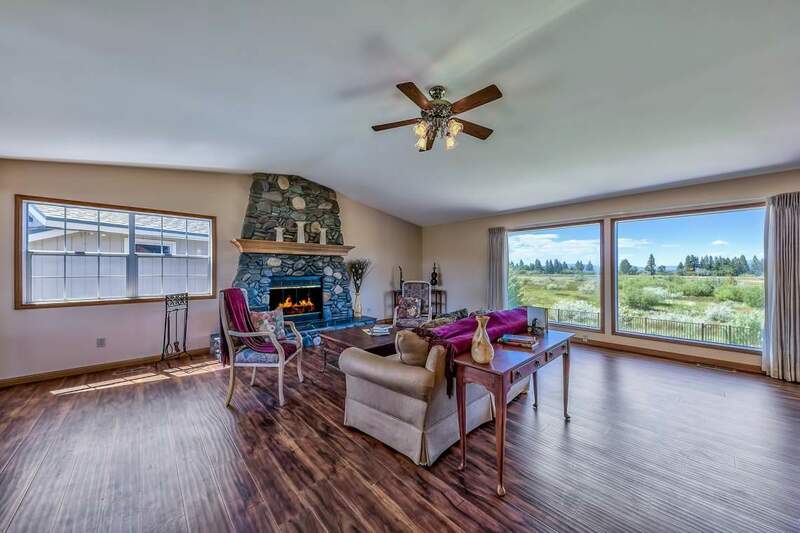 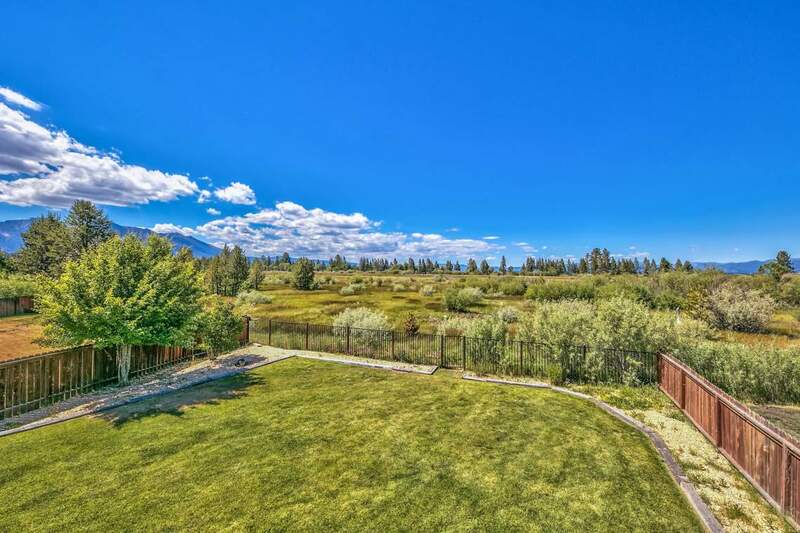 1706 Venice, South Lake Tahoe, CA: Watch the birds soar over the meadow or a hot air balloon drift by from the comfort of your living room. 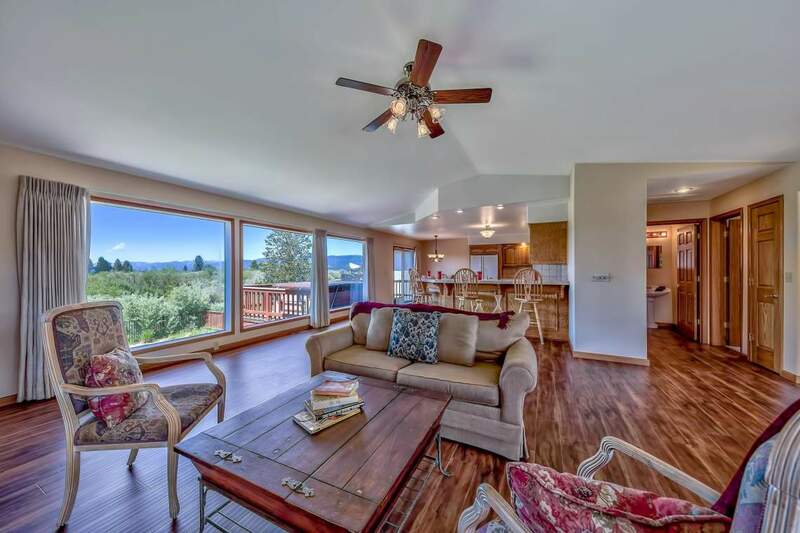 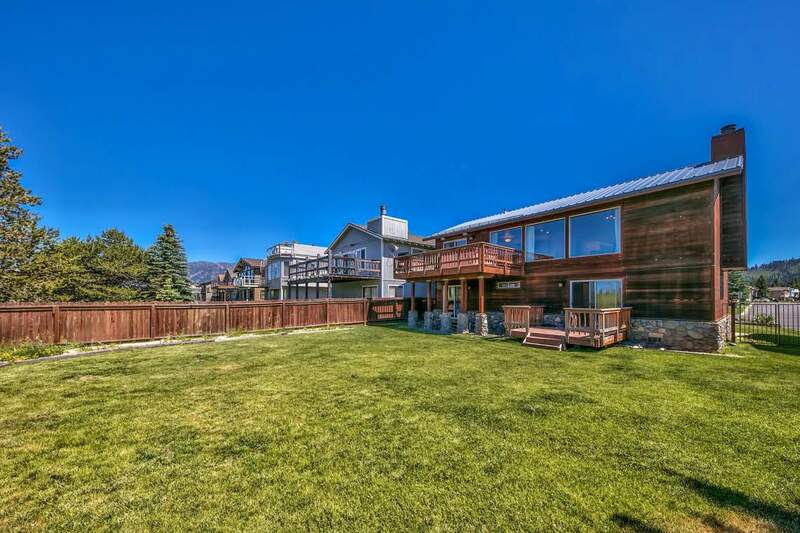 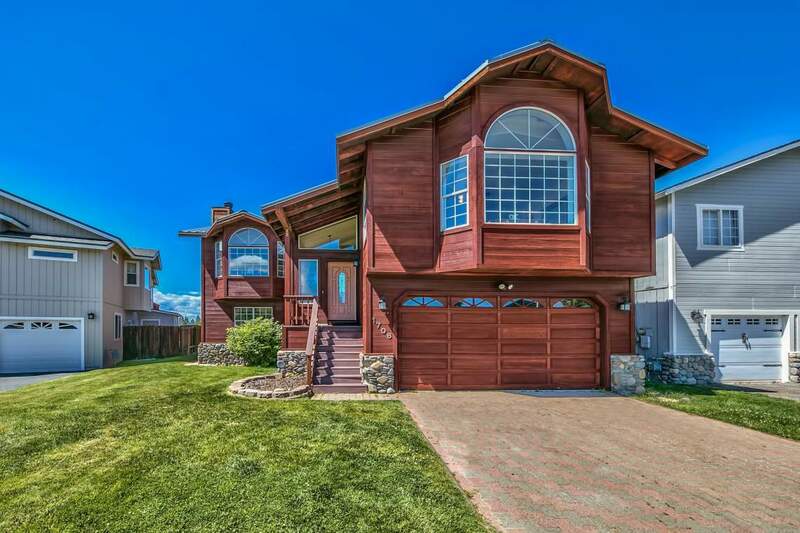 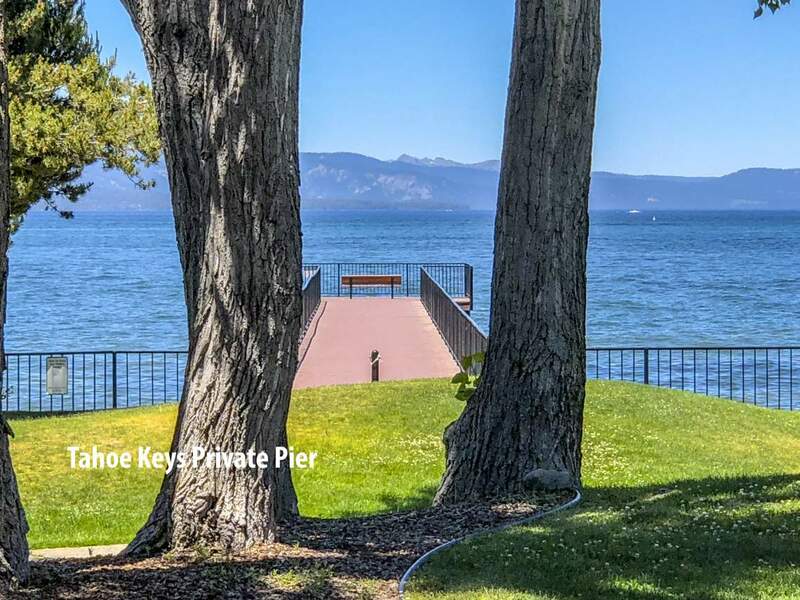 Backing a gorgeous meadow with distant views of beautiful Lake Tahoe, this freshly upgraded Tahoe Keys home is move-in ready. 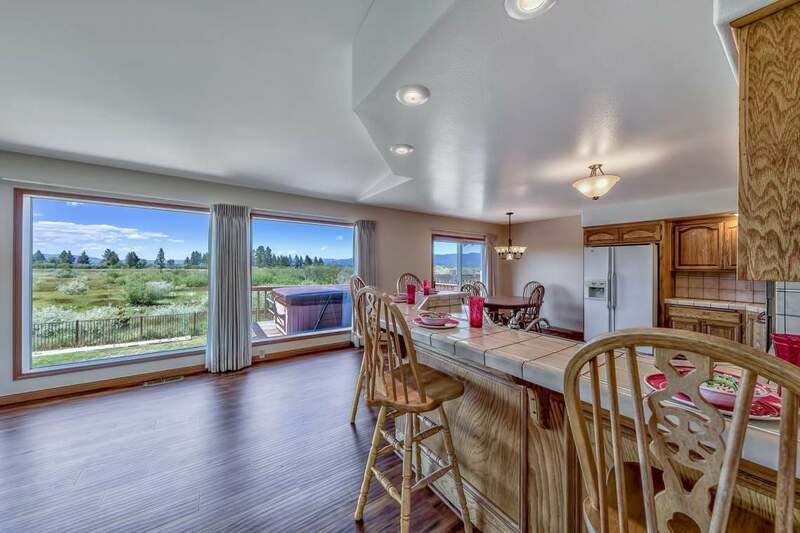 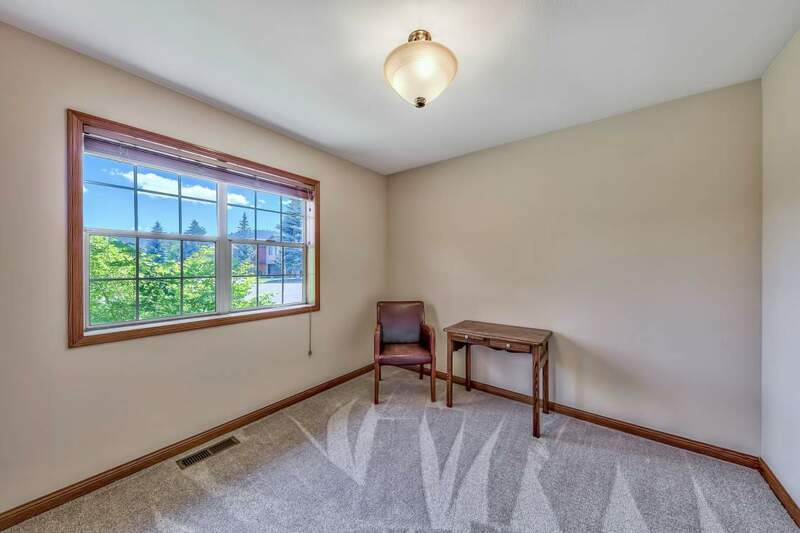 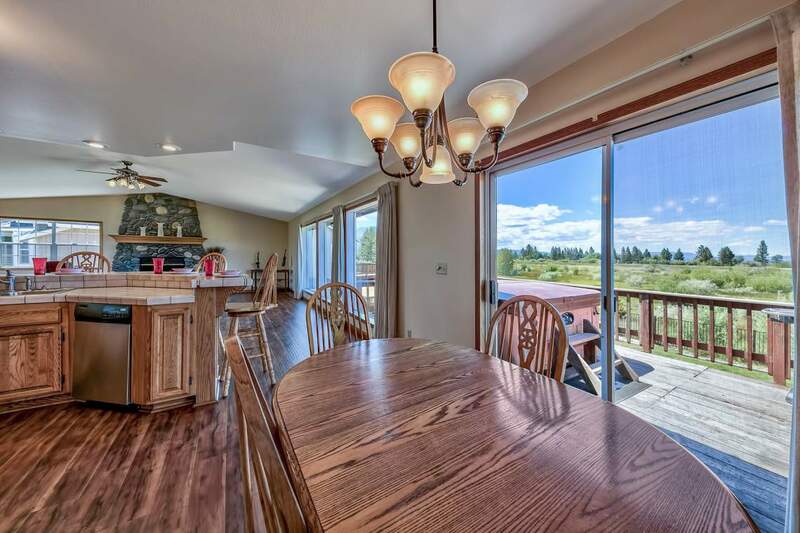 The upstairs living includes a super sunny great room, kitchen and dining area with a wall of view windows. 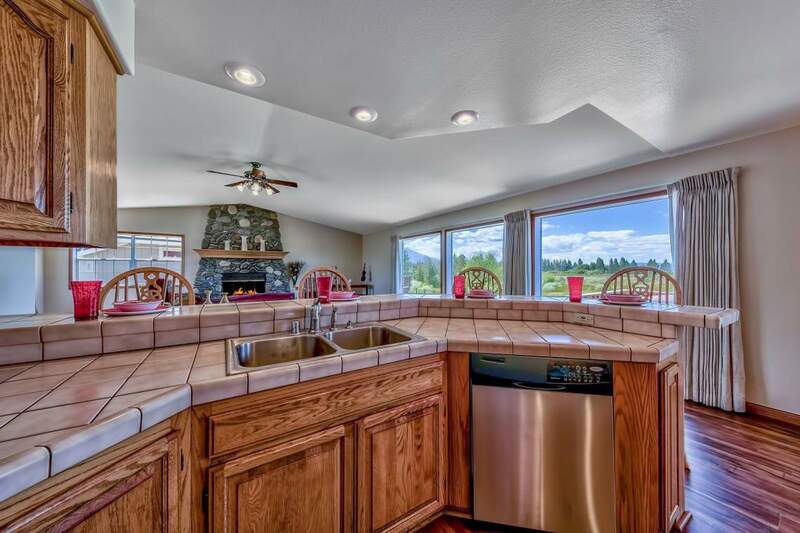 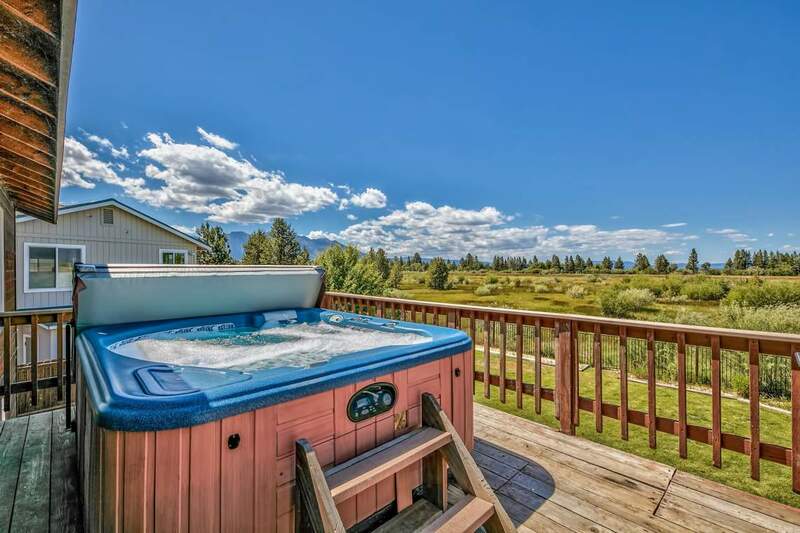 Step out onto the sunny deck and enjoy the bubbly hot tub while soaking up the panoramic beauty. 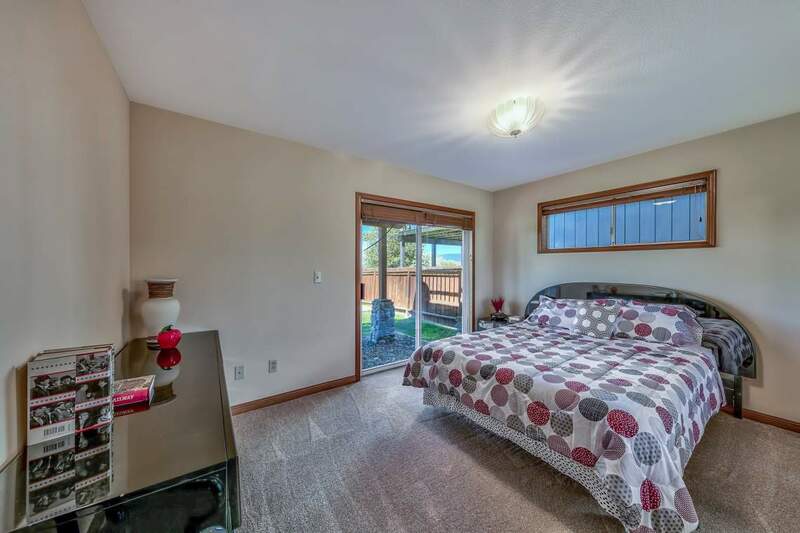 Also on this floor is a spacious master ensuite, a powder room and plenty of extra storage closets. 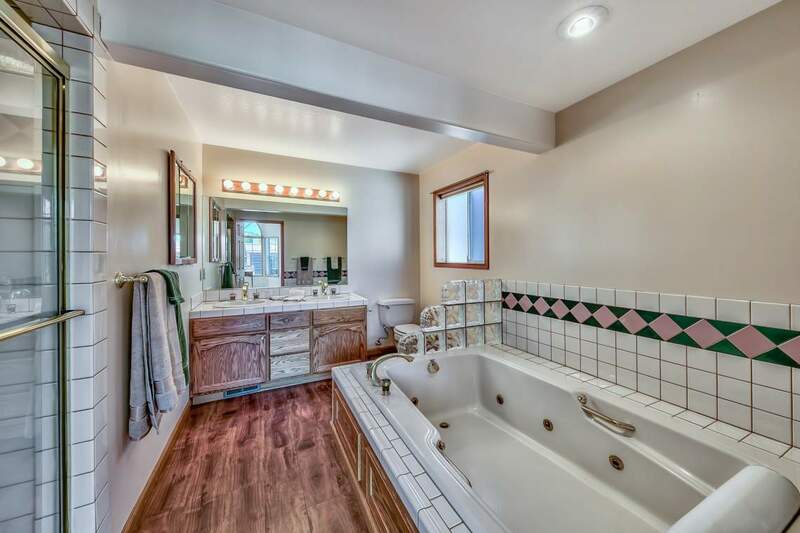 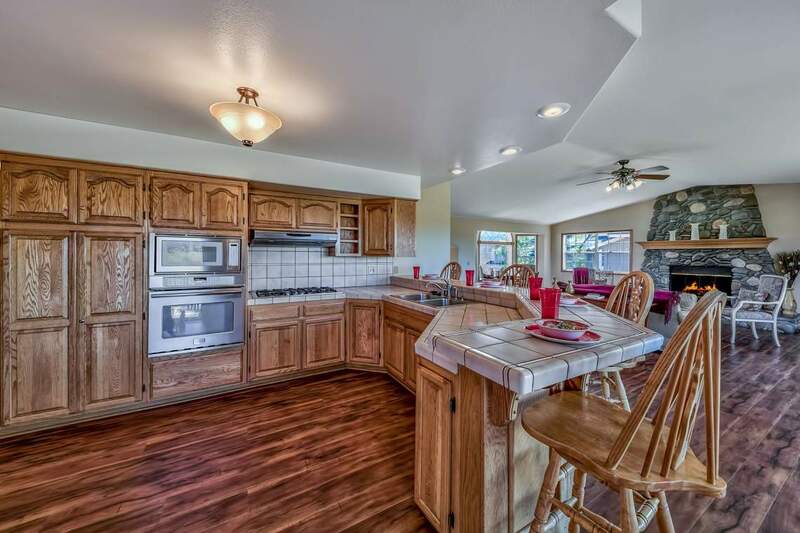 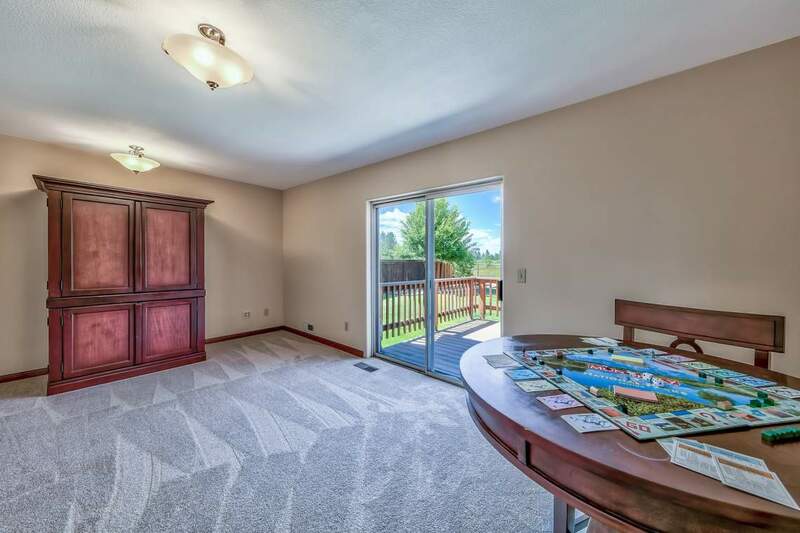 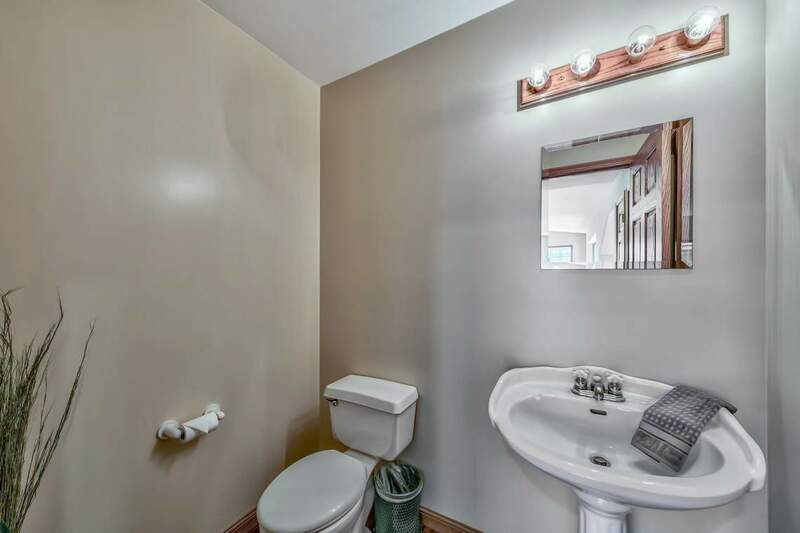 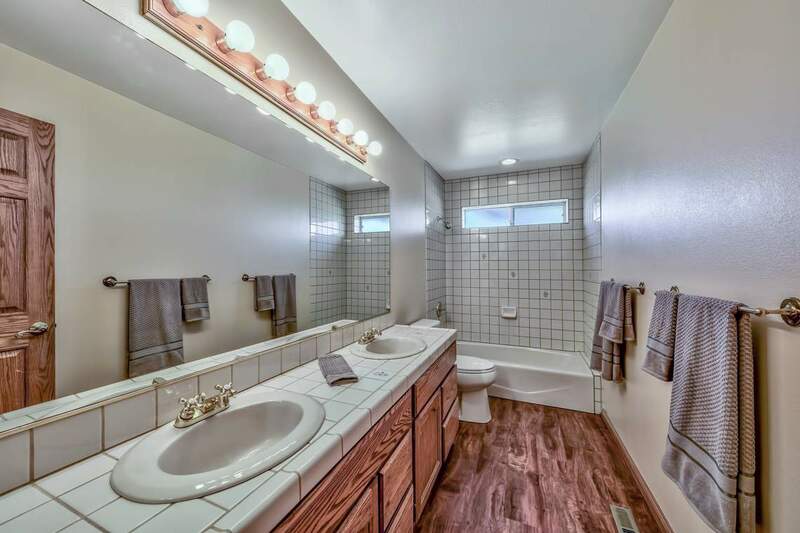 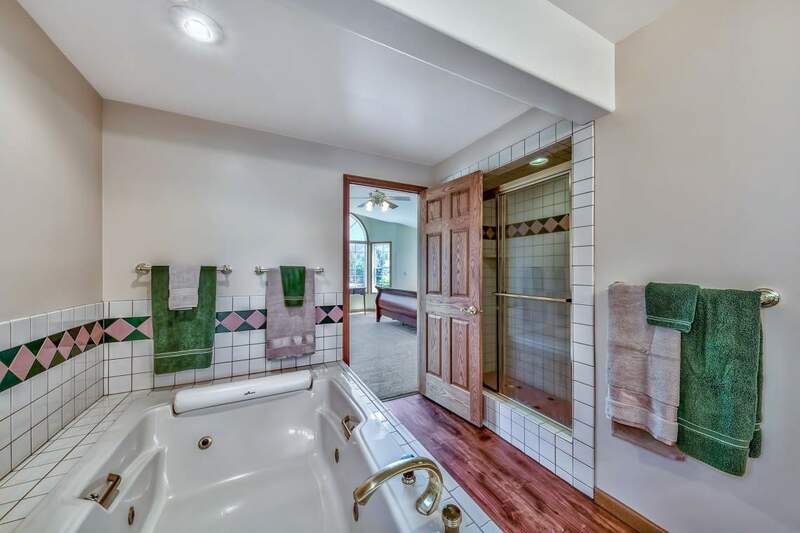 Downstairs is the family/game room, guest bedrooms, laundry and a guest bath. 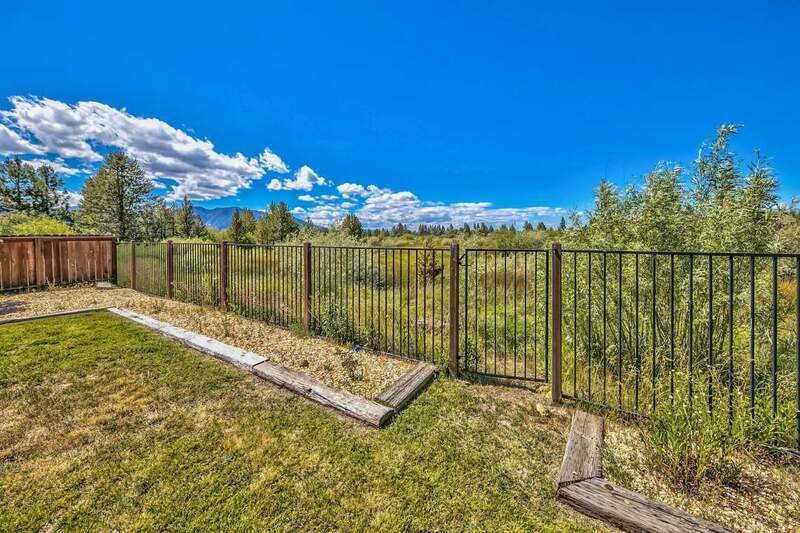 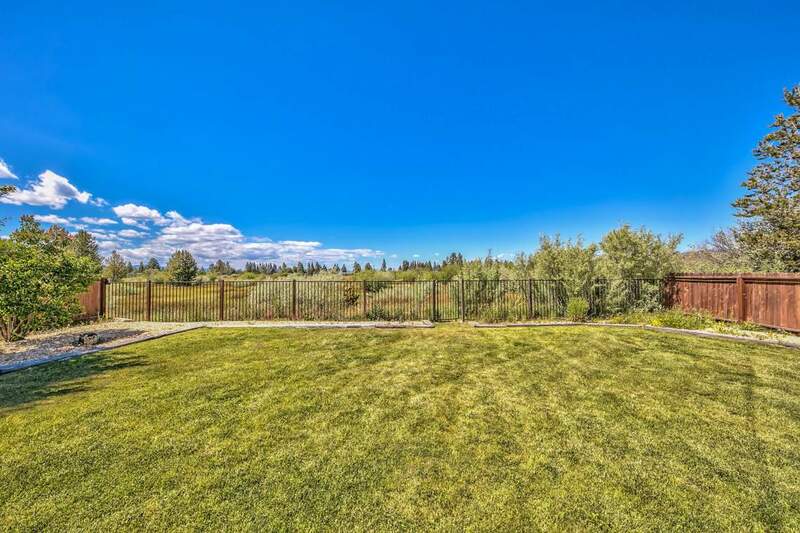 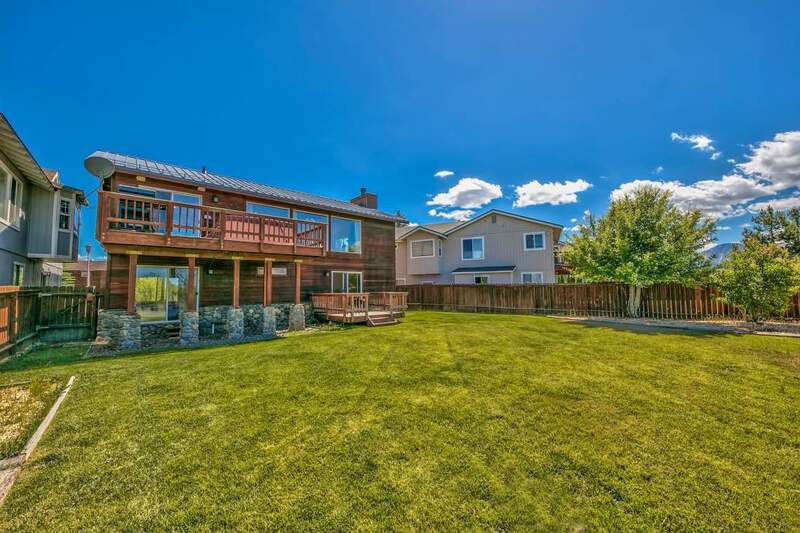 The extra large back yard (rare for the Tahoe Keys) is fully fenced with a gate leading to the meadow. 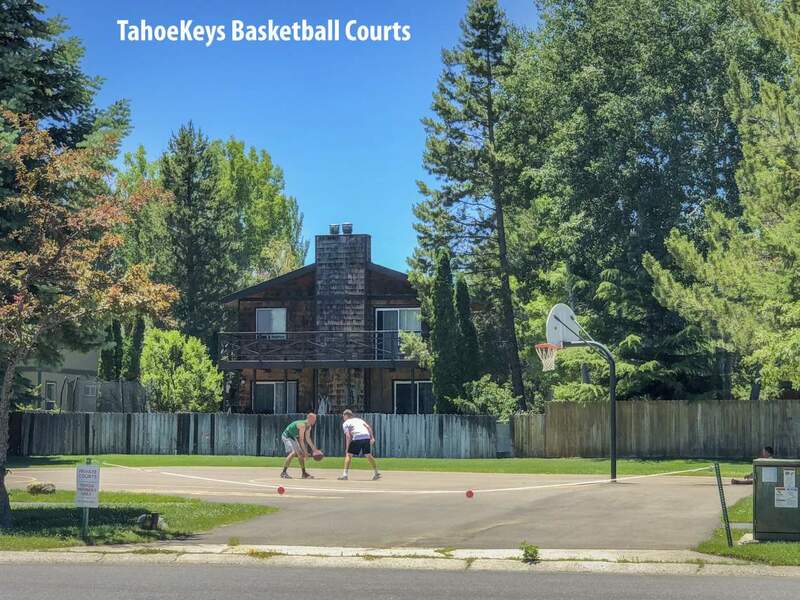 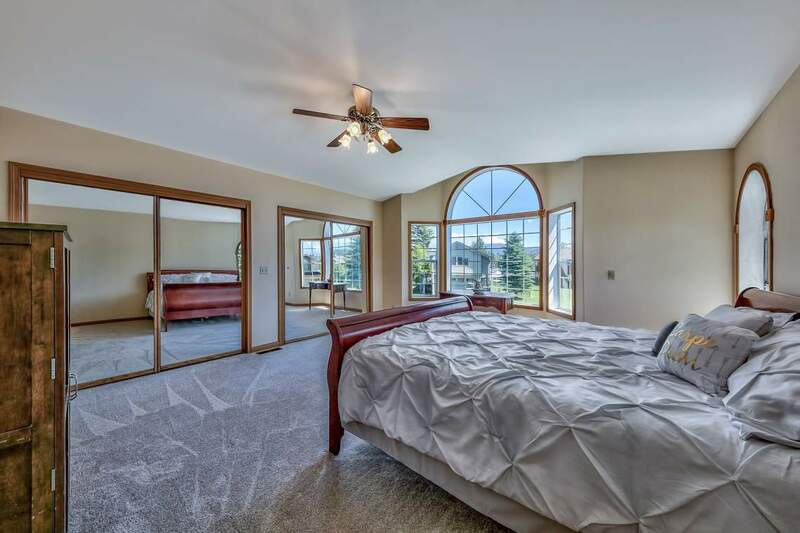 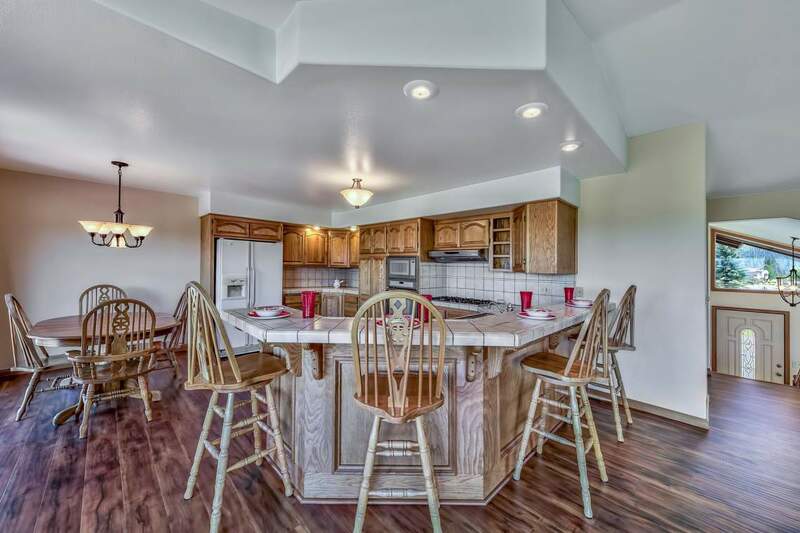 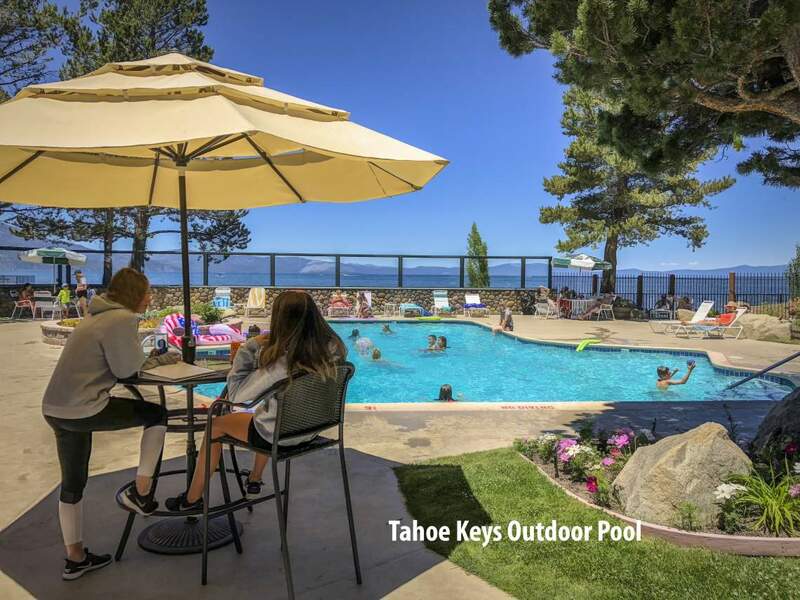 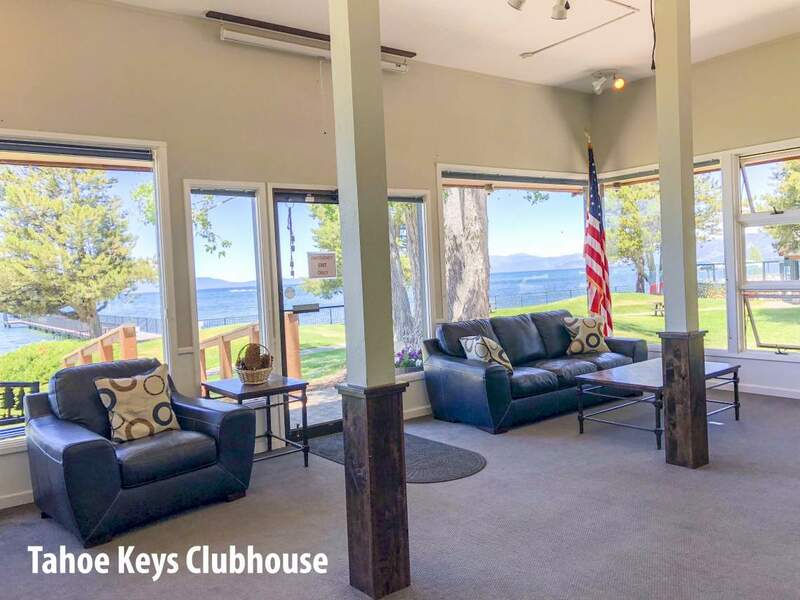 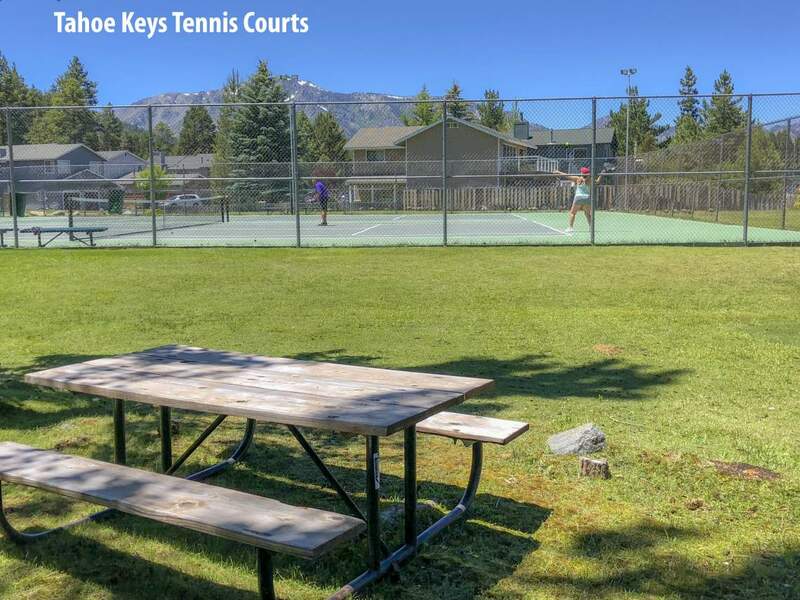 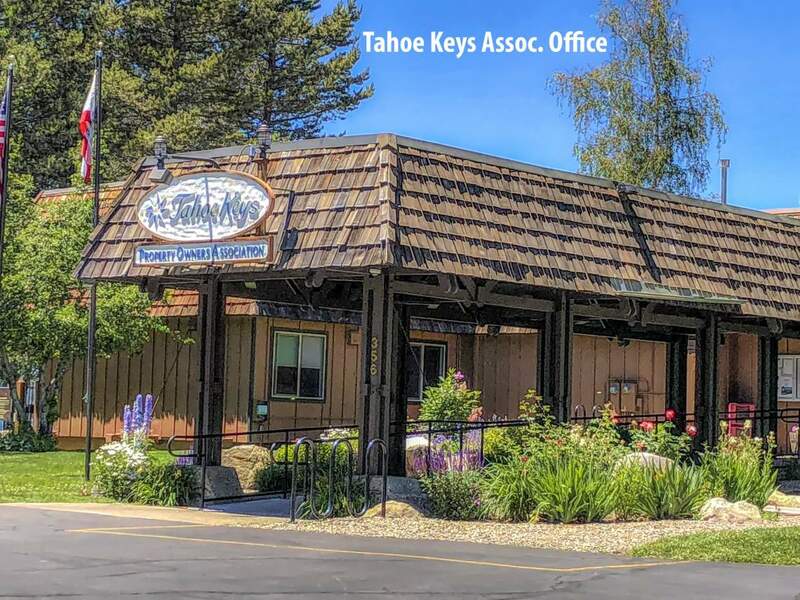 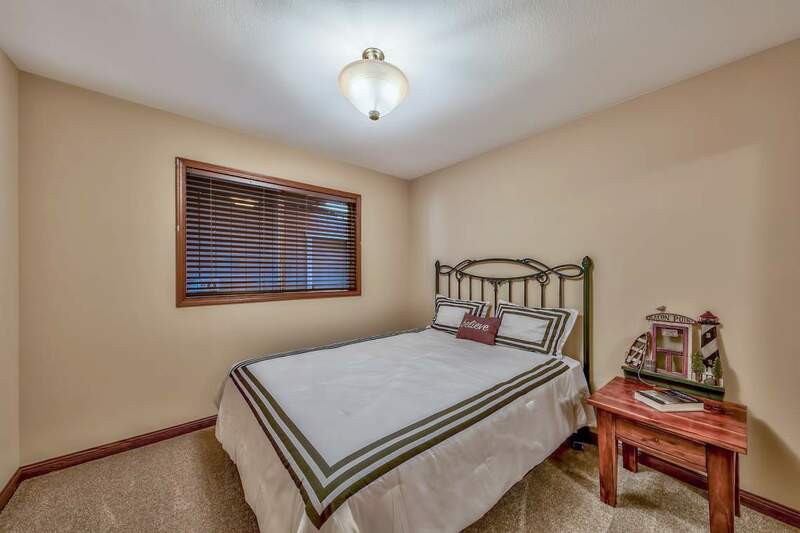 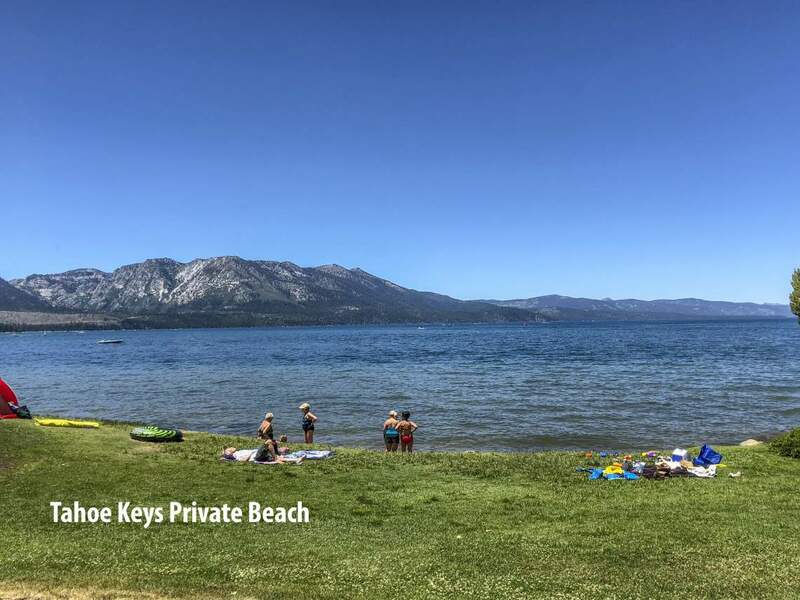 Enjoy the very popular Tahoe Keys Amenities which include both the indoor and outdoor private pool areas, basketball and tennis courts, parks, a private beach, pier and a clubhouse. 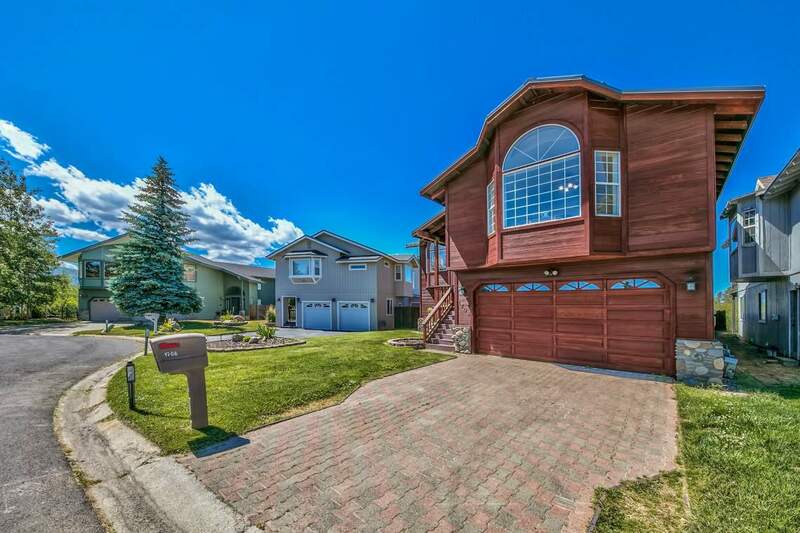 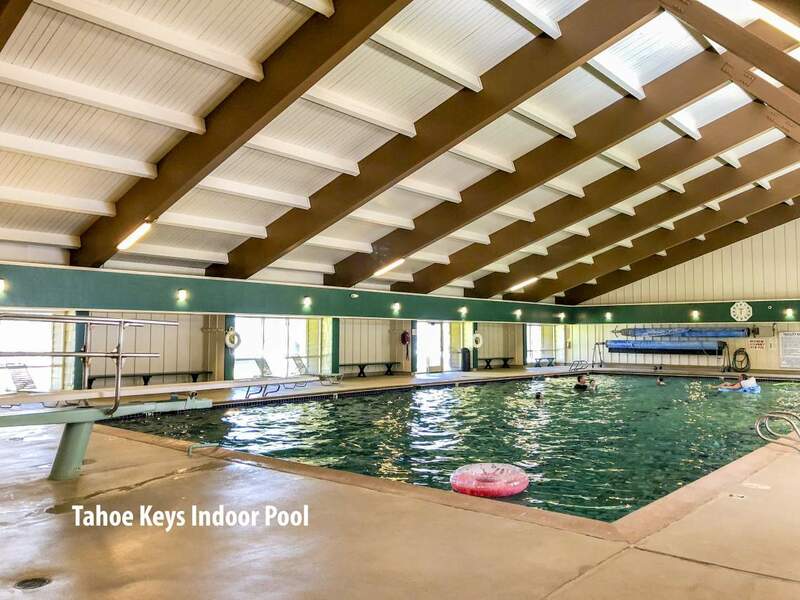 This prime location is also within a short bike rode to Pope Beach, yummy restaurants, Camp Richardson and more. 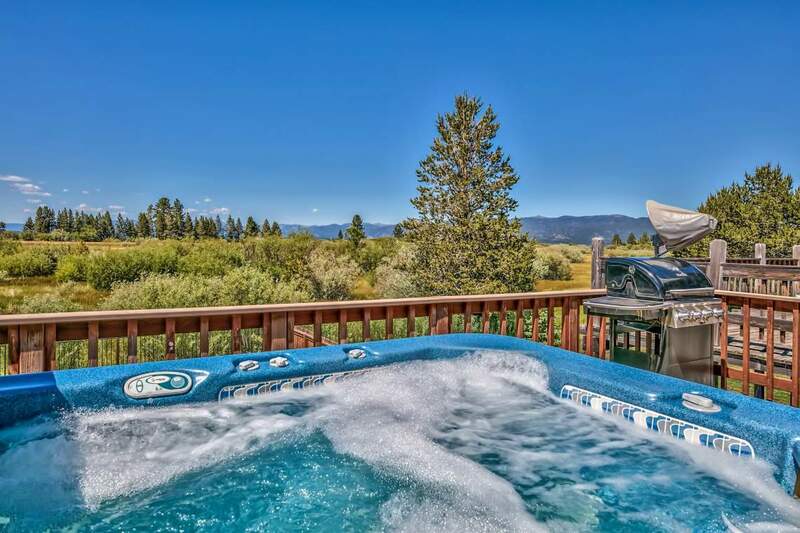 The good life awaits. 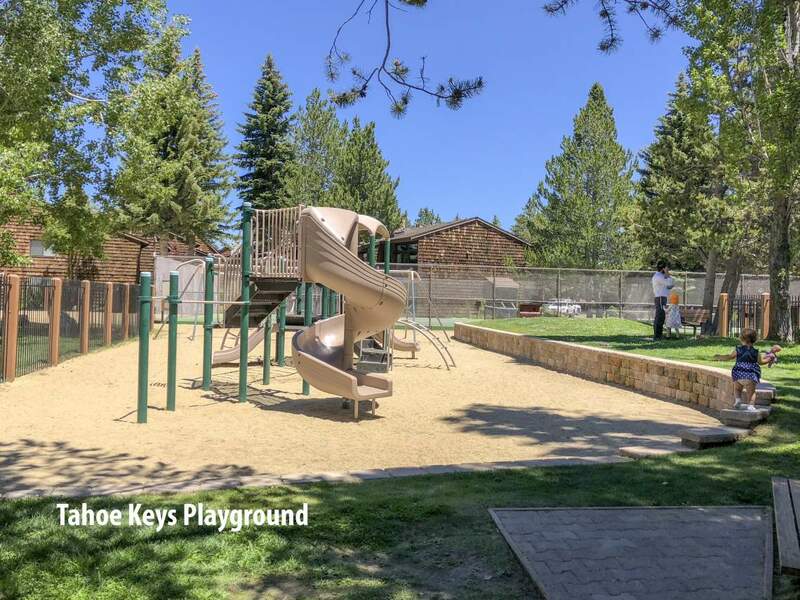 Click here for more information on the Tahoe Keys neighborhood in South Lake Tahoe, CA.